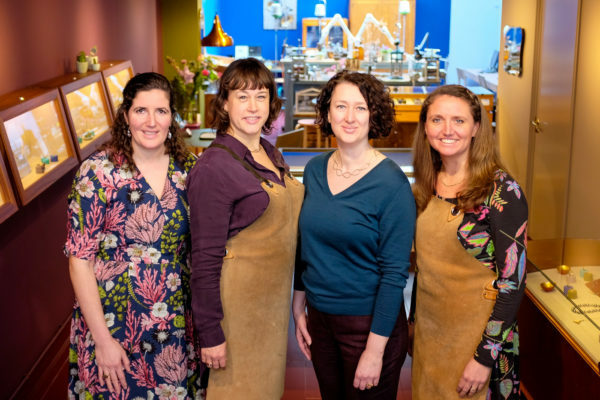 In 1994 we started our goldsmith career, as classmates at the Vakschool Schoonhoven. 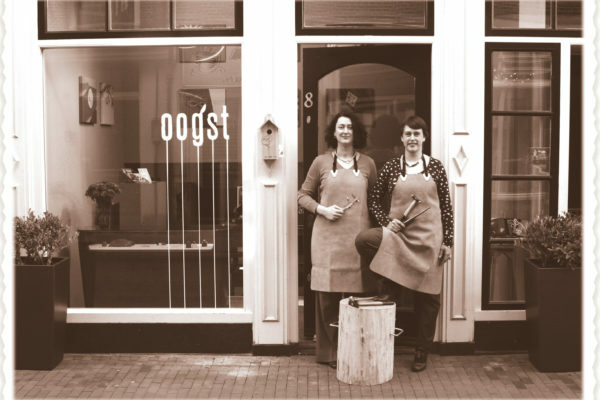 Before launching our first Oogst collection in 2008, we both worked in different studios to train our craftsmanship and develop our own distinct styles. Together, we have over forty years of experience as designers and goldsmiths. Nathalie Bogers has been working with us part time at the goldsmith bench since November 2014. Her technical skills and enthusiasm make her a valued team member. Yael Haller has joined us in December 2017 part-time, you can find her in the boutique enthusiastically helping you select a beautiful jewel. The inspiration for our Oogst collections is everything that grows and blossoms. But it does not end there; every surprising little detail we discover in our surroundings might end up in our jewellery. From the antique lace from Lotte’s great-aunts Passementerie shop and the acorn cupules from the Amsterdam Forest, to the latest collection by Dries van Noten and the Floral Cabinets at the Rijskmuseum. You can find it all in our Oogst pieces. We combine natural shapes and graphic lines with different gemstones and refined hand-engravings. We also love to experiment with old techniques and modern practices; that’s how we create a playful interaction of shape, colour and material in our jewellery. One of our favourite specialties is transforming cherished heirlooms into modern classics to fit your style and personality, and to create unique push presents (birth jewellery) to celebrate the latest addition to the family. Every Oogst detail is handmade with love. Our yearly harvest – Oogst – is a series created around a special source of inspiration. We love to take the fairy tales of the Brothers Grimm, a Collection of Curiosities or the authentic Japanese treasures from the SieboldHuis and transform them into a new Oogst collection. And as our inspirations never stops flowing, new additions will keep popping up in the boutique throughout the year. The graphic signature of Lotte’s work and the floral & elegant creations from Ellen; together we are Oogst. In our beautiful spot at the Tweede Tuindwarsstraat in Amsterdam, we combine our studio with a boutique. We enjoy showcasing our work and craftsmanship at the exact place where our jewellery meets their new owners. Custom made jewellery is our speciality; we love to create a personal design and make your own Oogst piece in our studio by hand. We work with recycled gold and conflict free diamonds. You are also very welcome to bring your own gold or precious stones to the studio for us to work with. 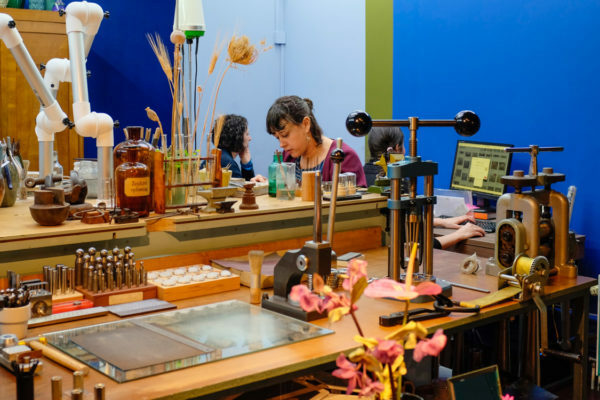 Are you looking for a goldsmith in Amsterdam that creates extraordinary handmade jewellery? We are happy to have you over at the boutique to advice you about your new Oogst piece or to discuss your wishes for your own custom Oogst design. You are very welcome to come in!